A few days ago, my brother asked me why I did not have a single one of my social media handles verified. No coveted blue ticks to provide the credibility or credence that comes from operating such accounts, he felt. I, of course, had a different take, because I see them more as personal spaces which would not benefit from any sort of affirmation. Plus, I find the whole business a little aspirational. If there is to be traction on any account, it’s owing to content alone. If consumers don’t take an unverified account seriously, that is really their loss because they’ll miss interesting content. Which makes one wonder: How much does social media interaction really contribute in reaching out to the end consumer with regard to food, especially in today’s age? The answer in short is—a lot! Chef friends of mine have aced the ability to reach deep into a client base that may not have existed had they not constantly posted great pics and offerings from their establishments. They are also able to successfully mix it with snippets of their own personal journeys, giving their accounts distinct human faces and thereby endearing themselves to consumers. Another popular young chef from a successful Indian restaurant uses the mediums effectively in disseminating knowledge about bio-diversity and local produce, which forms the backbone of his restaurant. It’s a great way to keep consumers engaged with what one represents, without making it an outright plug. These, to me, are organic, effective methods of keeping oneself a cut above the rest, rather than painting your brands and images with self-congratulatory superlatives. It’s more important in my opinion to pique interest, than market blatantly. Social media gives ample sample, time and visibility to anyone with a smartphone to reach an incredibly large marketplace and tap into them in ways that would have previously taken several agencies, each with its own set of ideas on how to engage with customers more effectively. 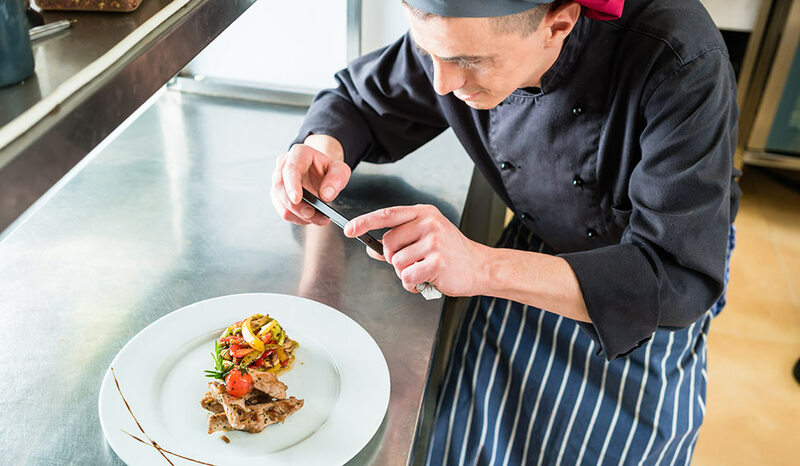 That’s almost passé now, but building a great storyline is important for the modern-day chef or restaurateur. I’ve enjoyed seeing the images that the wife of one of the most celebrated chefs in the world puts up. Good, yet well thought out. She’s an Instagram celebrity in her own right, but she substantiates the ethos that the chef and those close to him are known for. Social media handles are such a boon when used appropriately. Being part of the noise is easy, being heard clearly through it is entirely in one’s own hands. So, thinking a little before posting away, if it’s with the objective of garnering eyeballs, is prudent. It would be wonderful if the newer and younger crop of restaurant owners and chefs started to do this a bit more—and not only for ticks and prestige that invariably follows.